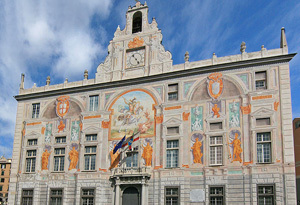 The Riviera of Liguria is a land of great scenic charm, a place where the colors of the houses caress the colors of the sea, in an atmosphere of absolute fascination, which has managed to charm many poets, who have immortalized in unforgettable compositions of these places great romance. If you could make a list of poets and singers who have spoken of this part of Liguria, would make a large number of names, since this land has really inspired great artists, from poets Eugenio Montale and Vincenzo Cardarelli, to great songwriter - poet Fabrizio De Andrè. 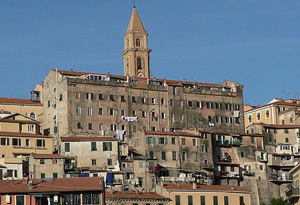 Wines: Cinqueterre, Dolce Acqua, colline di Levanto rosso. In Genoa, it is obviously a must stop the famous harbor, visible from a vantage point. A tour of the aquarium to have happy children can be interesting, then go into the whole walk in the alleys of the city, the discovery of extraordinary landscapes and small bakeries where you can enjoy a great loaf (a typical bread). In Arenzano worth visiting the Baroque parish church, as well as a walk on the hills overlooking the charming town. In Savona is interesting to visit the Cathedral, whose construction dates back to ‘500, and that houses inside fine examples of Renaissance sculpture. 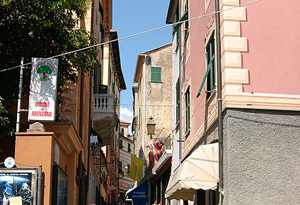 Shoppers and can take a quiet walk around the central street Paleocapa, the true heart of the city's commercial life and worldly. 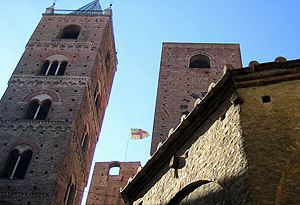 Albenga is a delightful town full of testimony about the medieval past, ranging from the Tower Cazzulani the Church of Santa Maria in fontibus, small jewels placed in an atmosphere of unparalleled natural beauty. 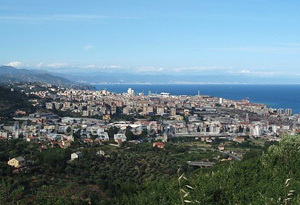 Ventimiglia is one of the most important seaside resorts of the Riviera, loved by thousands of tourists, some of whom will return for many years. Last part of Liguria before the French territory, is a city to find out by visiting its religious architecture, and stopping to watch the sea from the vantage point made even more fascinating with colorful flowers.